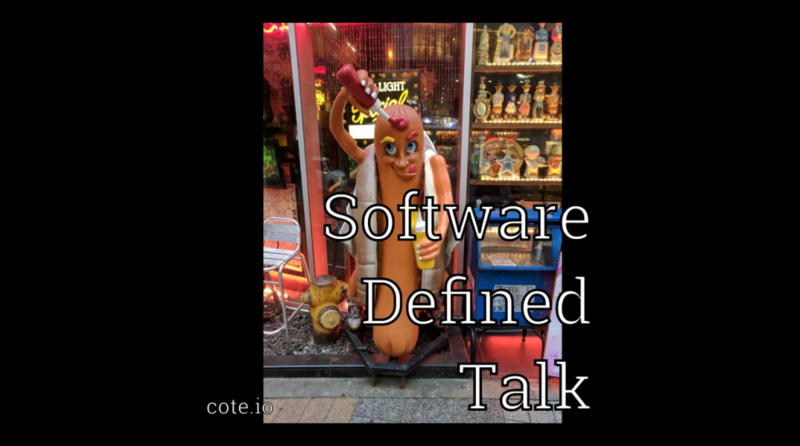 Mary Meeker’s Internet Trends report is out this week so in this 96th episode of the Software Defined Talk podcast, we discuss the highlights, which leads to a discussion of what an Amazon private cloud product would look like. Then, with a raft of new container related news we sort out what CoreOS is doing with its Tectonic managed service, what Heptio is (the Mirantis of Kubernetes? ), and then a deep dive into the newly announced Istio project, which seems to be looking to create a YAML-based(!) standard for microservices configuration and policy and, then, the actual code for managing it all. Also, an extensive analysis of a hot-dog creature (pictured above), which is either basting itself or putting on some condiment-hair. This episode features Brandon Whichard, Matt Ray, and myself, Coté.